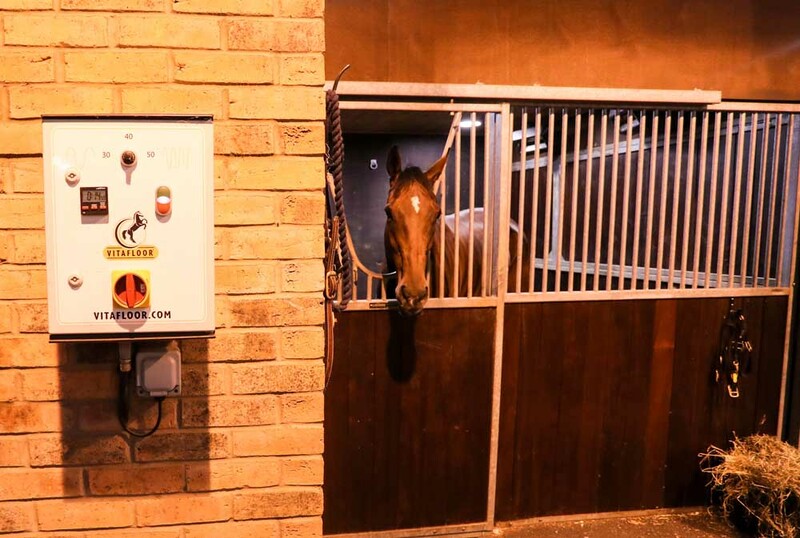 At Lodge Hill we have taken over one of our stables in order to install a Vitafloor, a fully automated vibrating floor system which provides both notable rehabilitative and physical training to the horse through stimulation of blood circulation and muscle activation. 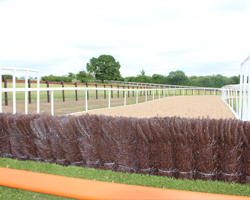 The Vitafloor vibrating floor system comprises a 5 inch platform with a layer of rubber on top. Motors gently vibrate this platform at different frequencies depending on use; the unit can either be used for training or rehabilitation. The system is fully computerized and has a timer which automatically shuts off the program when it has finished. 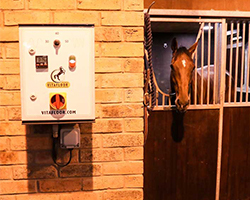 Vitafloor works by creating ‘instability’ as with each vibration a horse is obliged to perform reflexive actions with every muscle in its body. The result – muscles receive a workout, blood circulation is increased and a remarkable level of health, fitness and/or healing may be achieved. Research has shown evidence that Vitafloor increases bone density, enhances muscle musculature and improves hoof quality. 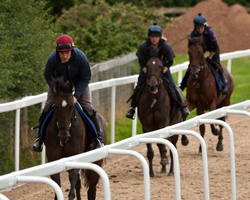 It is also known to help with joint and muscle soreness resulting in a suppler, looser, stronger and more flexible horse. 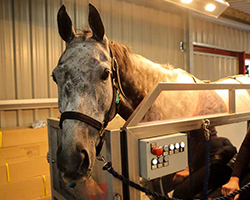 For more information on the Vitafloor system please click here.